After getting secretly married in Las Vegas, Miriam Yeung Chin Wah and Real Ting held their wedding banquet in Hong Kong on December 20th 2010. Miriam Yeung's distinctive purple (purple is her favorite color) quiff hair was definitely outstanding. The punk voluminous quiff added inches of height, however without the right overall balancing, it looked rough around the edges, more like a #mohawk. 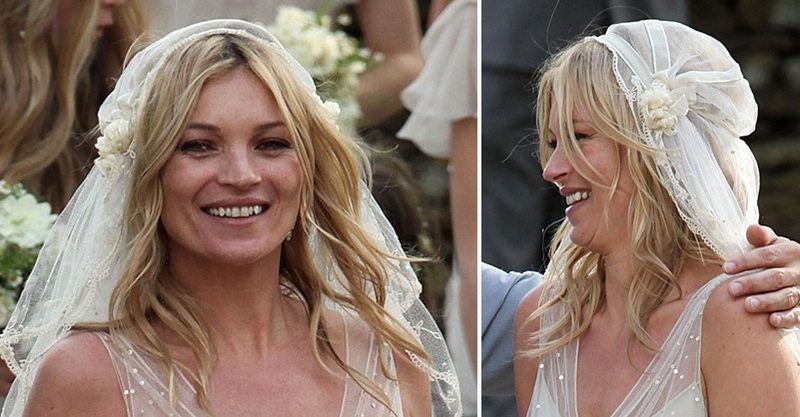 To complement her rhinestone accented John Galliano wedding gown, Kate Moss went for tousled, trendy hair with loose waves having both modern and vintage touches. The not so polished hair style and off-white unique veil like this one gave her the edge. She married Jamie Hince, guitarist for The Kills on 1 July 2011. Kate Middleton aka The Duchess of Cambridge had a squad of stylists to beautify her on the royal wedding day. She was very involved in choosing the bridal look based on her personal preference. The polished cascading long curls were able to achieve a fine balance of feeling natural but at the same time reflecting the occasion. 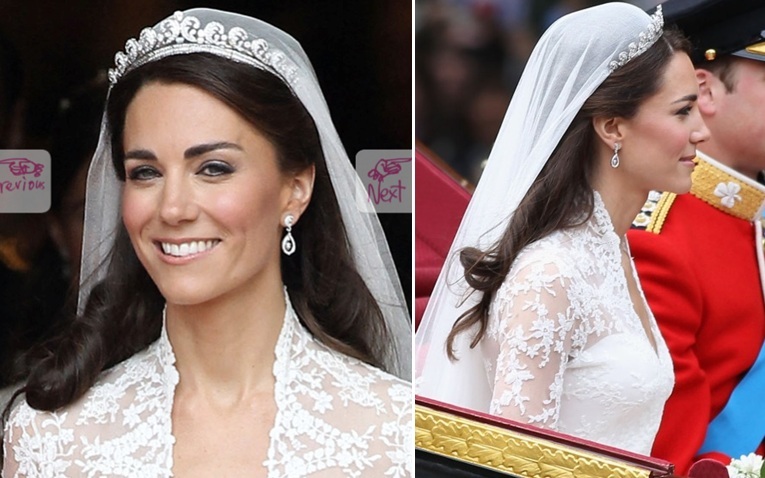 She got married to Prince William, Duke of Cambridge on 29 April 2011 at Westminster Abbey. Inspired by the 60's beehive, Barbie Hsu (Da S) and Kelly Chen adopted the hair-do which is more streamlined for a chic, modern look for their big days. Brides who want to add more fullness can have extensions woven into their natural hair to create a lush effect, accessorized with a detailed rhinestone headband or a simple sweet hairband. Backcombing the front hair will provide lift at the crown, otherwise having bangs is also fine.